A Bright Local study found that 91% of consumers turn to review sites to determine if a local business is a good business. As a business owner, it’s important you understand the value of reviews, how to respond to them, and what you can do to get more. In this webinar, we will provide tips and tricks for managing the world of online reviews and also explain Yelp’s review recommendation software. JOIN US for the second of three webinars in March. If you have a good grasp on the basics of Yelp for Business Owners and are hungry for more, then this webinar is for you! This webinar will educate you on the new tools available to business owners and talk about changes you can implement to gain more exposure on the site. You have the ability to share your great reviews from Yelp on other social channels and drop subtle hints for your consumers to engage with you more on Yelp. Join us to find out what is working well for business owners and could be a game changer for your business! Polish up your 90 second elevator pitch! Join the Manhattan Chamber of Commerce and Yelp for a morning of power networking. Attendees will have at least two opportunities to deliver a timed 90 second presentation to different tables of 8-10 people and participate in facilitated networking. All attendees will receive a copy of the attendee list with contact information after the event. Please note that this event has limited capacity. Anyone that registers and is not able to attend must give at minimum 24 hours notice of reservation cancellation. JOIN US for the first of three webinars in March. This is a guide to setting your business up on Yelp, a class for new business owners. You’ve probably seen your business on Yelp, but have you downloaded the Yelp for Business Owners mobile app or taken advantage of all the other free tools? This webinar will walk you through how you can use Yelp for Business Owners to put your best foot forward on Yelp and tell the story of your business in a place that consumers are looking to find you. Update your business hours, add photos of yourself, your staff and your product, learn what tools can make you most successful in telling your story on your Yelp Business Page. 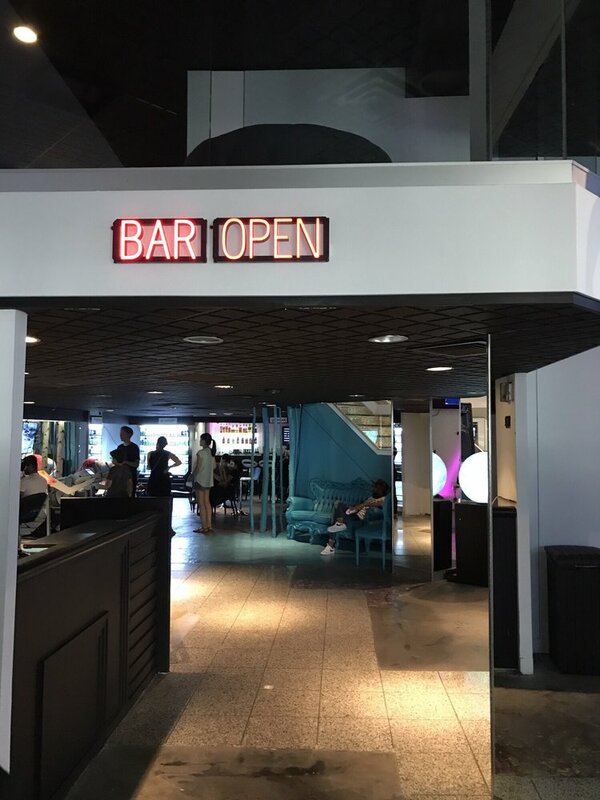 You are invited to Yelp NYC's End of the Year Community Connection: A free, private party at VR World! This is for local business owners, managers, and marketers! The entire space is yours to mix, mingle and enjoy with other small business owners and managers! A unique opportunity to network with other NYC businesses. You'll have a chance to chat about free ways to optimize your Yelp Business Page. Members of our New York team — including other business owner mentors — will be on hand to talk, network, and answer your burning questions about the site. We'll also provide an area for one-on-one support, free admission to VR world and complimentary beverages. Connect with other NYC-area business professionals, sign-up on site for access to more exclusive events this year & next, and a unique Virtual Reality experience. Great! Please RSVP below and include a link to your public business listing on Yelp so we can familiarize ourselves with what you do. You're invited to come network with business owners, managers and marketers at Yelp's NYC Office! We've partnered with the Manhattan Chamber of Commerce for their quarterly networking event, Networking Around Town. Enjoy delicious bites and complimentary drinks while you get to meet new faces! 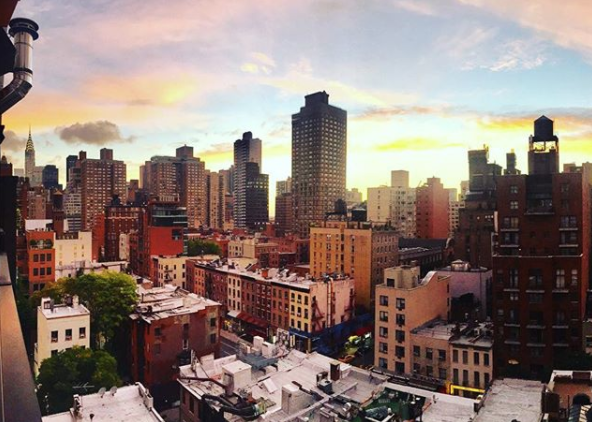 The Manhattan Chamber of Commerce is a community of businesses -- including startups, long-time neighborhood stores, mid-market firms and large companies -- that help one another succeed. They are "super connector" that facilitates strategic partnerships, deals and brand elevation among businesses of all sizes. 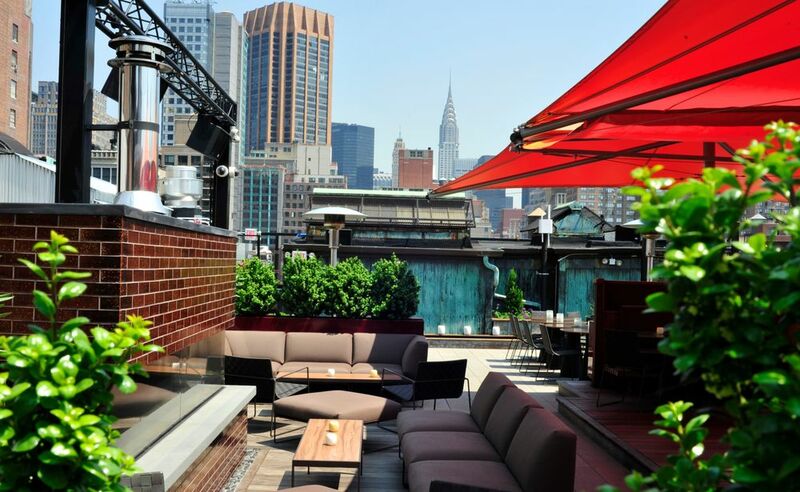 You and a guest are invited to Yelp NYC's Summer Community Connection: A free, private party at the Park South Rooftop for local business owners, managers, and marketers! 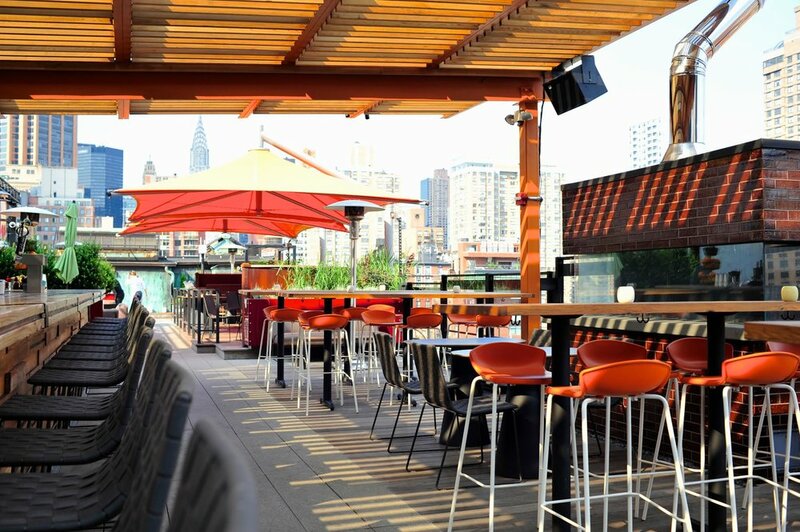 The entire rooftop is yours to mix, mingle and enjoy with other small business owners and managers! A unique opportunity to network with other NYC businesses. You'll have a chance to chat about free ways to optimize your Yelp Business Page. Members of our New York team — including other business owner mentors — will be on hand to talk, network, and answer your burning questions about the site. We'll also provide an area for one-on-one support, complimentary light bites & beverages. Great! Please RSVP below and include a link to your business on Yelp so we can familiarize ourselves with what you do. ***Please note: In the case of rain, this event will NOT be rescheduled as Roof at Park South has a beautiful large indoor space. Laptops required! We will be optimizing your Yelp business page in real-time with expert guidance to make your business page pop – no homework needed, so make sure to bring your computer! Networking opportunities to connect with other great NYC business leaders and marketers. You have two opportunities to join this class, so pease RSVP for Tuesday morning or Wednesday morning. Include a link to your business on Yelp so we can familiarize ourselves with what you do. Tell us who you're bringing and be sure to bring your laptop! Class is in session - can't wait to see you there! Are you curious about how to respond to a critical Yelp review? Do you need a hand uploading photos to your business page? Maybe you want to know how to leverage Yelp to help you grow: Whatever the case; you have questions, and we have answers! Speak with Yelp's Local Business Partner one-on-one about tools to optimize your Yelp Business Page. You'll leave with a Your Health On Yelp report, suggestions for how to maximize Yelp's tools, and ways to help your Yelp listing thrive. Want in? Book a 20-minute appointment and please be on time as appointments will run according to the schedule. Bring all your Yelp related questions! The Yard is a revolutionary, shared office space that allows entrepreneurs and creatives to work together in an innovative community. 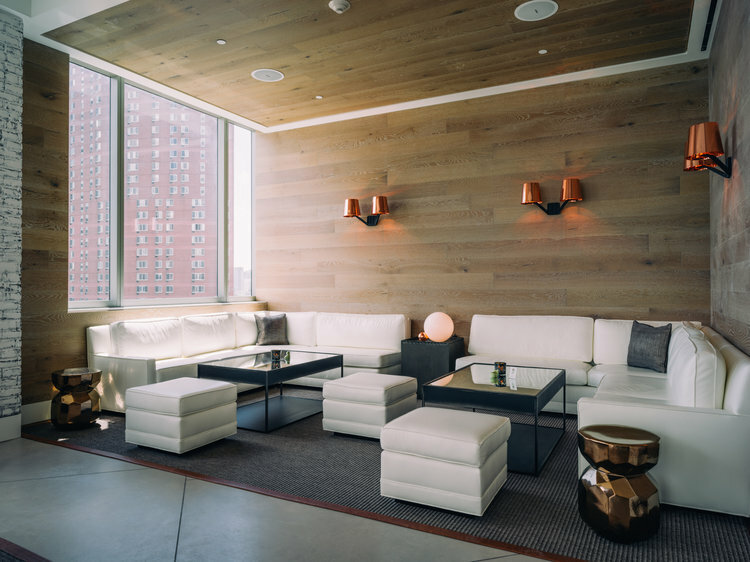 Offering flexible, month-to-month memberships, The Yard provides private offices, dedicated desks, and coworking in thoughtfully designed spaces across New York, Boston, Philadelphia, and Washington, D.C. Members have access to state-of-the-art conference rooms, beautiful breakout lounges, monthly networking events, rotating art gallery installations, and hundreds of business amenities. 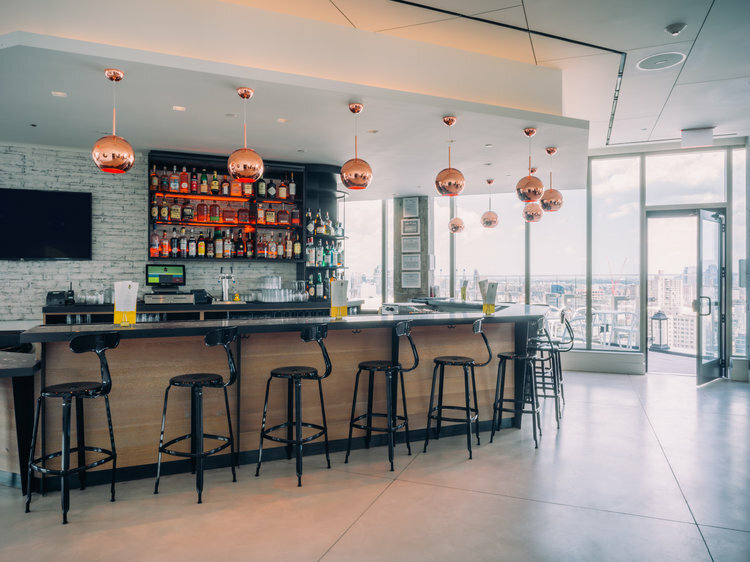 You and a guest are invited to Yelp NYC's Spring Community Connection: A free, private party at the Hotel 50 Bowery Rooftop for local business owners, managers, and marketers! The entire rooftop is yours to mix, mingle and enjoy with other small business owners and managers! A unique opportunity to network with other NYC businesses. You'll have a chance to chat about free ways to optimize your Yelp Business Page. Members of our New York team — including other business owner mentors — will be on hand to talk, network, and answer your burning questions about the site. Enjoy live music while you network with the local business community. We'll also provide an area for one-on-one support, complimentary light bites & beverages provided by The Crown. ***Please note: In the case of rain, this event will NOT be rescheduled as The Crown has a beautiful large indoor space. JOIN US for this customer loyalty webinar! A loyal customer spends 67% more than a new customer. What is your strategy for building loyalty? Loyalty doesn’t just mean that customers regularly return to your business. It means customers who go out of their way to seek out your brand and hopefully talk about your business to their friends, family or online following. There are a lot of ways to drive loyalty, from the classic loyalty builders like punch cards or monthly newsletters to even more advanced tools in the customer loyalty landscape like WiFi marketing. Join Yelp WiFi for a webinar all about leveling up your loyalty. Whether it’s starting small and implementing a new tool for the first time or increasing your system’s sophistication, there will be a tool for you. If you have a good grasp on the basics of Yelp for Business Owners and want to level up, then this workshop is for you! This session will educate you on the additional tools available to business owners to help you convert more consumers, plus changes you can implement to gain more exposure on the site. Networking opportunities to connect with other great New York City area business leaders. To attend, register below and include a link to your business on Yelp so we can familiarize ourselves with what you do. Make sure to bring your laptop or tablet for hands-on participation! The Yard is a revolutionary, shared office space that allows entrepreneurs and creatives to work together in an innovative community. Want in? Book a 20-minute appointment and please be on time* as appointments will run according to the schedule. Bring all your Yelp related questions! JOIN US for this review focused webinar! A Bright Local study found that 91% of consumers turn to review sites to determine if a local business is a good business. As a business owner, it’s important you understand the value of reviews, how to respond to them, and what you can do to get more. In this webinar, we will provide tips and tricks for managing the world of online reviews and also explain Yelp’s review recommendation software. You and a guest are invited to Yelp NYC's Community Connection, 2018 Kickoff: A free, private party at The Stanton Social for local business owners, managers, and marketers! A unique opportunity to chat about free ways to optimize your Yelp Business Page. Members of our New York team — including other business owner mentors — will be on hand to mix, mingle, and answer your burning questions about the site. Enjoy live music while you network with the local business community. We'll also provide an area for one-on-one support, complimentary light bites & drinks provided by The Stanton Social. RSVP, include a link to your business on Yelp so we can familiarize ourselves with what you do, and tell us who you're bringing. Questions? Email bizoutreach@yelp.com or click the contact button below! If you have a good grasp on the basics of Yelp for Business Owners and are hungry for more, then this webinar is for you! This webinar will educate you on the new tools available to business owners and talk about changes you can implement to gain more exposure on the site. You have the ability to share your great reviews from Yelp on other social channels and drop subtle hints for your consumers to engage with you more on Yelp. Join us to find out what is working well for business owners and could be a game changer for your business! You’ve probably seen your business on Yelp, but have you downloaded the Yelp for Business Owners mobile app or taken advantage of all the other free tools? This webinar will walk you through how you can use Yelp for Business Owners to put your best foot forward on Yelp and tell the story of your business in a place that consumers are looking to find you. Update your business hours, add photos of yourself, your staff and your product, learn what tools can make you most successful in telling your story on your Yelp Business Page. Check out the Social Media Summit! Sharpen your social media skills. Turn your online profile into new business. Learn how to extend your brand at the next WCBS Small Business Breakfast on the morning of November 8th at the Hilton Long Island / Huntington. WCBS-Bloomberg Business Anchor Joe Connolly will host an expert panel on using tools like Yelp, Facebook, Instagram, and Google Ad Words to spread your message and market your brand. All of the speakers you will hear have a passion for social media which drives their expertise and they are rock stars in their field. Darnell Holloway, Director of Local Business Outreach for Yelp. Courtney Spritzer, Co-Founder and CEO of Socialfly, one of the top New York social media marketing agencies. Dan Pratt co-founder and COO of the digital marketing firm Ad Hawk to coach you on the right strategies for Google. Over the years, New York area business owners have made many sales, countless contacts and have gotten hundreds of good, usable ideas at our popular WCBS Small Business Breakfasts. Please join us again or for your first time. You’ll be glad you did. It’s an enjoyable, efficient use of your morning. Joe Connolly features a small business story each week in the WCBS Small Business Spotlights. Find them on our 50th Anniversary page. Thank you for your interest in our Yelp For Business Owners events around the city. Now it's time to celebrate you, our growing local business community! 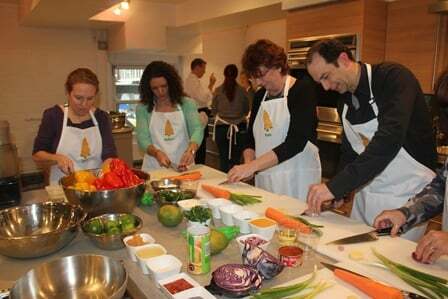 This time around, we'd like to invite you to simply enjoy yourself, at a private cooking class for local business professionals at premier cooking school, Cooking by the Book. This exclusive, complimentary event will include cooking instruction, wine, a delicious meal and time to network with other great local business leaders and marketers. The class will be on Monday, October 23rd from 6:15PM to 9:30PM and we ask that you arrive on time for our instructors. Because space is extremely limited, RSVPs will be honored on a first come first serve basis and we won’t be able to do a waitlist for this event. If you would like to bring a plus one, please have them RSVP separately. We look forward to cooking with you!